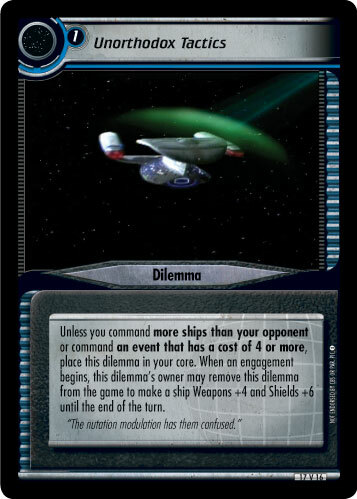 For each mission worth 40 or more points that your opponent commands, this dilemma is cost -2. Randomly select three personnel. Each of those personnel who has a cost of 2 or less is killed. 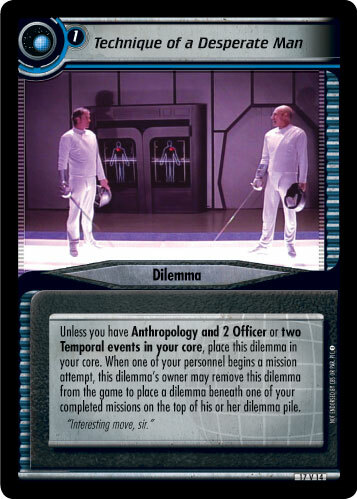 "On the contrary, they're extremely fair, since your alternative is death." 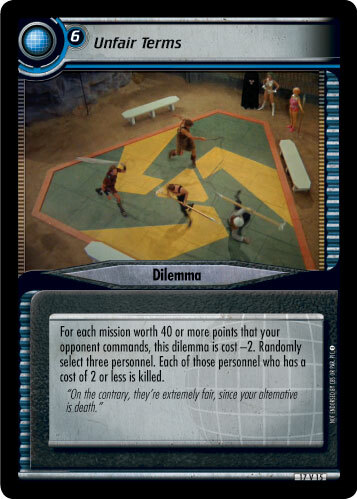 Image Source: The Original Series: "The Gamesters of Triskelion"